Monmouth County Clerk’s Office recognizes that social media sites including Facebook, Twitter, YouTube and Instagram have become important communication channels for the community. 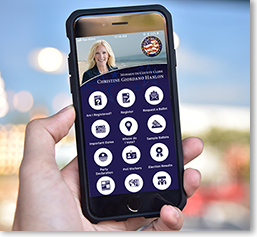 To assist in posting content and managing these sites, the Monmouth County Clerk’s Office has developed policies and guidelines for official and personal use of social media. These policies and guidelines apply to Monmouth County Clerk’s Office employees and members of the public who comment, post, or respond to any of the Monmouth County Clerk’s Office social media mediums. Public comments reflect the views of the author and do not necessarily reflect the views of Monmouth County Clerk’s Office or its employees. Monmouth County Clerk’s Office expects that comments and posts will be courteous and relevant to the topic(s) presented on the social media website. All comments and posts will be reviewed. The Monmouth County Clerk’s Office reserves the right to delete, hide or not publish comments. • Promote or endorse ballot issues, candidates for public office or other campaign-related material, or non-county related events and programs. Individuals who violate this policy may be banned from future commenting or viewing of the social media page without notification. Copyrighted material should not be posted or submitted in any form unless permission to do so is clearly indicated. In posting comments or other material, a commenter grants Monmouth County Clerk’s Office and anyone viewing the Monmouth County Clerk’s Office social media mediums permission to copy, distribute, or display the commenter’s words or photographs publicly and free-of-charge.